The 2013 Airstream Avenue is a wonderful way to travel while keeping all the luxuries of home at hand. With wonderful features, the Airstream Avenue will make anyone’s trip one to remember by providing great comfort combined with the excitement of road travel. With so many wonderful amenities of home, the Airstream Avenue is a wonderful way to travel. There are many different floor plans offered with the Airstream Avenue. Travelers who need more seating and less features can choose the Avenue Lounge with seven seats, a convertible bed, bathroom and galley. On the other hand, travelers who want more amenities can choose the Avenue Suite, which has five seats, a convertible bed, bathroom, galley, extra storage and a wardrobe. Regardless of the customer’s needs, there is a perfect Airstream Avenue to meet them. The airstream is about 21 feet long, 9 feet high and 7 feet wide, providing excellent room as well as great features. A trip in the Airstream Avenue is a great adventure for anyone with all the comforts of home. An Airstream Avenue is a hotel room on the road. For people who want to travel or have a long trip, the Airstream Avenue is a great alternative from other kinds of travel. 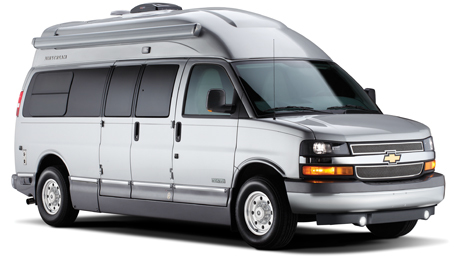 Compared to other RVs, the Airstream Avenue has great gas mileage, so it will save travelers on money. The compact size also allows it to fit in many parking locations that RVs cannot fit. In addition, the Airstream Avenue is a much better way to travel than by regular car. Cars are cramped and do not offer great amenities and features like a bathroom, bed or kitchen. For long trips, the Airstream Avenue is definitely better than traveling in a cramped car and spending money at hotels. Lastly, for long trips, the Airstream Avenue is also a great alternative to air travel. Air travel is fast, but it can be expensive and it is uncomfortable. Plus, when traveling in an Airstream Avenue, travelers can see many attractions on the way to their final destination. These are attractions and experiences they would have missed via plane. With so many features, the Airstream Avenue is a great choice. It is much better than traveling by car because it offers great amenities, and it is better than larger RVs because it uses less gas. Traveling in the 2013 Airstream Avenue will give passengers the wonderful adventure of the open road without letting them miss out on comfort and class. If you’re looking for more information about this great Airstream model, please don’t hesitate to give us a call at 1-866-975-3287 and speak with a member of our team.